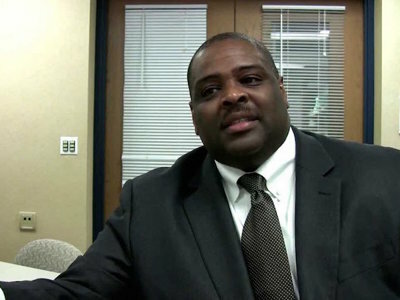 Last year, after Milwaukee Public Schools superintendent Gregory Thornton exited stage left for Baltimore, I suggested the district hire Mequon-Thiensville schools chief Demond Means as his successor. Then, as always, no one listened to me. I got over it, and MPS made an alternate choice promoting from within. But that didn’t mean I was over Means. In fact, when I&nbsp;talked to&nbsp;Milwaukee County Executive Chris Abele a few weeks ago, Means was one of the possible Opportunity Schools Partnership Commissioners that we discussed. I told Abele that I liked Means, including that I thought he would have been a good replacement for Thornton. 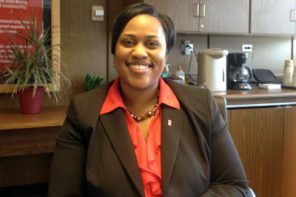 Means is from Milwaukee, is tied to the community here and has experience not just as a superintendent but as a state-wide leader on issues of school equity and achievement gaps. So the announcement last week that&nbsp;Abele has selected Means&nbsp;to take on that commissioner role came not as too much of a surprise &ndash; but it was a relief. As I wrote last month, Abele was unlikely to pick a commissioner who would significantly upset the status quo. Abele himself seemed interested in not just preserving his political credibility as a nominal Democrat (he holds a non-partisan office) but also preserving the financial stability of the public school district. In doing so, Abele is absolutely going against the spirit, if not the letter, of the law creating the Opportunity Schools Partnerships. 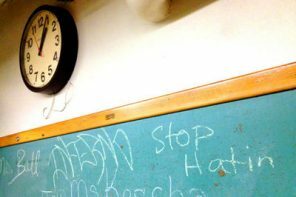 The authors of the bill left no question in their roll-out of the law what the bill was intended to do, which is&nbsp;strip MPS schools&nbsp;from district control. I’m not a lawyer (though sometimes I play one on the Internet), but the&nbsp;legislative language&nbsp;(“The commissioner shall … select at least one and not more than 3 eligible schools to be transferred”) seems to belie the notion that, as Means and Abele have been saying all week, they don’t plan to takeover any MPS schools. Everyone is perhaps relying on the technicality that the law includes not just failing MPS schools but also vacant MPS buildings, although the great bulk of the language is about what to do with the students, families, teachers and educational equipment in the buildings taken over, not merely the abstract empty space. And even then, if the first Opportunity School is set up in a currently empty building, whether that’s a “take over” is purely semantic: Clearly, this new entity will have appropriated MPS property to teach students whose education funding is skimmed directly off the top of MPS’s budget. 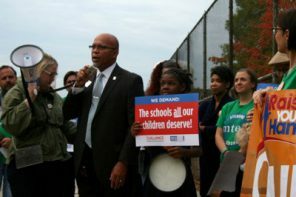 The reaction to the Means appointment from the left &ndash; public school advocates, Democrats, county executive candidate Chris Larson and Abele opponents on the Milwaukee County Board of Supervisors &ndash; centers on the idea that anyone was selected for the job at all, rather than that it was Means, who has long opposed private school vouchers or other attempts to weaken traditional public schools. 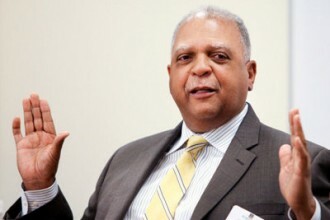 Larson, for example, released a statement that simply said “The County Executive should have immediately rejected the takeover authority granted to him by Republican legislators,” but made no comment on Means at all. And even though Means has been in some high-profile disputes with the local teachers union, including an ongoing case involving a popular high school math teacher, none of the union criticism I’ve seen focuses on Means himself at all, but rather, as with Larson, the law behind his appointment to the post. “Abele and Means cannot change the fact that the takeover legislation, by definition, requires the dismantling of the very public schools that our students depend on,” said the Milwaukee Teachers Education Association, in a statement republished by the state teachers union. That Means is a resident of (and superintendent of a school district in) one of the most conservative communities in the state, also makes it hard for the Republican architects of the takeover bill to criticize him too strongly. Indeed, Alberta Darling, one of the plan’s authors, not only represents Means in the state senate but praised him highly last week when his selection became public. The bill’s co-author, Brookfield Republican Rep. Dale Kooyenga, was more circumspect (and terrible at names), according to OnMilwaukee’s own Dave Begel, but no so much so that he’s willing to publicly denounce Abele’s decision. This lack of personal critique of Means from either side is not what makes his appointment so reassuring, though. More than anything else, what makes the appointment of Demond Means to this position such a relief for me is that Means is, if nothing else, practiced at running schools and school systems. Whether or not you think his selection was a cop-out, either a concession to those trying hard to destroy public education or a concession to those desperate to maintain the current system unchanged, you can’t say Means doesn’t know what he’s doing. You just can’t honestly believe that he’s going to create the kind of haphazard mess that significantly marred &ndash; and to an extent still drags down &ndash; the Milwaukee Parental Choice Program and led to a generation of children taught in fly-by-night storefront schools by cousin So-and-so and a coloring book. Whatever shape the new school Means starts for next fall ultimately takes, whether it’s a super-small preschool in a currently empty MPS building or something larger and more ambitious, I trust that it will be professionally staffed and operated. I may not like its existence, but under Means’ hand, it isn’t going to be a disaster. This is Abele’s technocratic competence at play for sure. Further, Means and Abele both seem committed to making sure the new law’s provisions requiring wrap-around services at the Opportunity Schools be extended more widely throughout the traditional MPS schools. One of the things I understood least about the original plan was why, if there’s all this magic stuff out there to fix schools, the legislature didn’t just offer that magic stuff to MPS, or all public schools, for that matter. But Abele and Means sound like they’re going to take the opportunity &ndash; no pun intended &ndash; of the Opportunity Schools legislation to improve support for kids in traditional MPS schools, too. As I wrote last month, Abele was never going to be some sort of superhero savior standing between MPS and its sure death at the hands of its nemeses in Madison. But he was also not going to be the evil mastermind some people claim he is. Indeed, there’s plenty of speculation out there right now that Means will hold this post of Commissioner only until the day after the spring election, when, if Abele is re-elected, the real takeover will begin under someone else less committed to public education (this is a ridiculous theory, not least because, by then, it will be too late to change anything Means sets in motion for the 2016-17 school year). This appointment of Means as commissioner does nothing to change my mind about Abele’s position as a relative hero or villain. But it is reassuring in the sense that whatever does happen, I know Demond Means will not do anything to hurt the Milwaukee children under his care and will try his best not to hurt the rest of MPS, either. So, I suggest takeover opponents focus less in the coming months on Abele and Means, and focus more, instead, on what can be done to change the underlying law to protect MPS from someone with less commitment to, or regard for, this city and its children.